Enjoying a peaceful location with enviable views across the waters of Loch Ewe towards the mountains beyond, this former detached croft house has been lovingly restored and now provides cosy holiday accommodation. 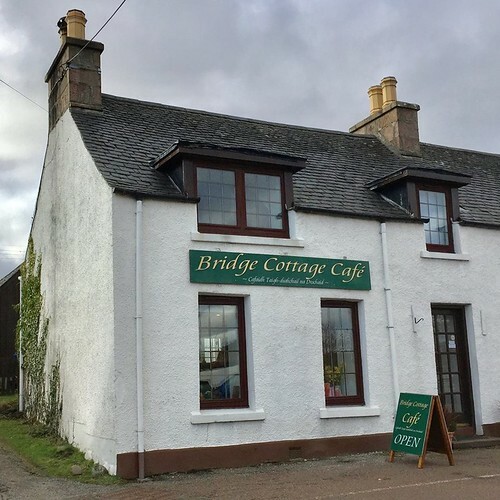 The cottage makes the perfect base for exploring this beautiful and unspoilt part of the western Highlands. 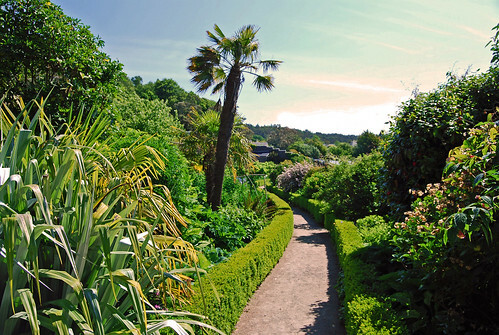 The famous NTS Inverewe Gardens are only 3 miles with the Isle of Skye, Gairloch, Ullapool and Inverness, the Highland Capital, all within easy reach. Sandy beaches, golf, fishing, mountain biking, walking and climbing all available locally or guests can just relax and enjoy the ever changing and stunning scenery. Shop and pub 3 miles. Cosy living room with open fire. Compact, well-equipped kitchen/dining room. Utility. Two shower rooms and toilet, one with large shower cubicle. Steep stairs to first floor: Small reading area on landing. Double bedroom. Twin bedroom. 1st comment: The cottage was very well organised, clean, comfortable and well equipped kitchen. Owners ensured a homely and inviting environment and should the weather turn for the worse was plenty to do. Sept 2011. 2nd comment: A lovely location fairly remote but still with some quite local amenities. The cottage was very well maintained and and we had a very comfortable week. The bed was particularly comfortable and the whole cottage has a cosy atmosphere. The kitchen was well equipped - a real kitchen! The separate utility area for washing drying and ironing meant that all laundry could be easily dealt with and as we were moving on to another location this was a real plus for us. We were very happy with our stay. Sept 2011. 3rd comment: Beautifully presented cottage in a wonderful location. April 2011. 4th comment: The property was very well equipped, and there were lots of homely touches. Towels and linen were included. I can cope with linen for a week but would like one change of towels in that period. If I’d known there would only be one set of towels I could cope with that. If there had been an axe or saw we could have collected more logs for ourselves. We very much appreciated the box left for us. Dec 2010. 5th comment: We have stayed at lots of cottages and can honestly say this is the best cottage we’ve ever been to. Lots of attention to detail which makes all the difference. Oct 2010. 6th comment: Warm, welcoming, cosy cottage, beautifully decorated and furnished with lots of thoughtful and artistic touches. Oct 2010. 7th comment: Top class accommodation in a wonderful tranquil spot, overlooking Loch Ewe. Lots of places to visit from here. Great kitchen and utensils, two showers, comfy beds, all in all top class. Sept 2010. 8th comment: Everything about the property made you feel at home. The welcome message from the owners and all the attention to detail was excellent. Sept 2010. 9th comment: It is the best equipped and nicest holiday cottage we have ever stopped in. Aug 2010. 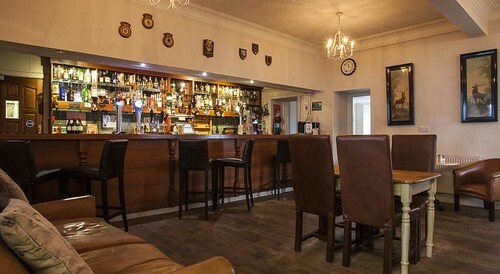 10th comment: A well appointed homely atmosphere. July 2010. 11th Comment Very well equipped and finished to a high standard. July 2010. 12th Comment Location was good and the property was very well equipped. June 2010. 13th Comment Beautiful cottage in beautiful place. Lovely touches from the owners and just an all-round lovely holiday experience. March 2010. 14th Comment The cottage was perfect. It was very cosy and comfortable. It had everything you could have wished for and more. The owners are very considerate and the welcome items that they left us were very much appreciated. There are no bad points to this cottage and I would give it ten out of ten. Oct 2009. 15th Comment Excellent! Nice beautiful cottage. Even better than expected. We will come back! A very nice cottage, clean and well equipped with everything you may need. Quite a new big kitchen, wood for burning supplied, and very nice owners, we met them. We will come back! Also very good for families with children. Aug 2009. 16th Comment A wonderful cottage with some lovely personal touches. The coal fire was a joy and the cottage was as well equipped as any we have stayed in. April 2009. 17th Comment Absolutely super cottage very well equipped, wonderful location, nice welcoming touches from the friendly owners. March 2009. 18th Comment Recently refurbished to a high standard in a fantastic location, lovely cottage. June 2009.